Getting screened for TB often involved two days of travel and lost wages for Kenyans. Now, it can often be done in minutes and more people can get tested, saving lives and keeping family members and friends from getting infected from this airborne disease. It took a stellar team, tenacity, a truck—and a little luck along the way. Driving the effort to make it possible for more Kenyans to get tested more quickly was computational imaging scientist Sameer Antani, PhD, of NLM’s Lister Hill National Center for Biomedical Communications. In a country with high rates of HIV/AIDS, detecting and treating tuberculosis or TB is crucial. People with compromised immune systems are particularly vulnerable to this airborne disease, and treating TB while avoiding complications of HIV treatment requires rapid test results. Although TB is rare in the United States, it is the fourth leading cause of death in Kenya. Despite the geographic distance and the magnitude of the problem, NLM was in a unique position to make it less difficult for Kenyans to get diagnosed. With approximately half its population living in poverty, Kenya struggles to provide access to basic health care services and medical treatment to its citizens, especially those living in rural communities and the densely populated slums. In Kenya, getting a TB test may involve a day or two of travel just to get to a testing site, possibly on a crowded bus with other passengers carrying the disease. Then waiting for the test results and treatment could take even longer. There weren’t enough places to get tested, enough radiologists to read the tests, and enough people to relay the results in a timely manner. Sometimes, it could be too late. Another test for diagnosing TB that relied on DNA analysis was faster but too expensive and not workable for population screening. Chest X-rays are a routine part of the screening protocol and are relatively inexpensive, but there aren’t enough radiology services. “In developing regions, the challenge is to address the imbalance between the size of the affected population and the available radiology services,” said Antani. Any new approach would need to be inexpensive, reliable, and easy to use—even for people with little or no background in radiology. Sameer Antani (third from left) and Clem McDonald (third from right) stand with members of the team in Kenya. He immediately began collaborating with Indiana University School of Medicine, a partner of Academic Model Providing Access to Healthcare (AMPATH), a non-governmental organization in Kenya supported by USAID that runs the largest AIDS treatment program in the world. He also started working with the radiologist Marc Kohli, now an associate professor of clinical radiology at the University of California, San Francisco. The collaboration between a computational imaging scientist and a radiologist led to a strategy for a mobile screening system. Sameer Antani (back, left) with members of his team: Stefan Jaeger (back, right) and Alexandros Karargyris, Sema Candemir, Zhiyun (Jaylene) Xue, Szilard Vajda, and Santosh KC. Meanwhile at NLM’s Lister Hill National Center for Biomedical Communications, Antani assembled a dedicated team of computational imaging scientists and machine learning experts from an intramural research and development division: Sema Candemir, PhD; Stefan Jaeger, PhD; Alexandros Karargyris, PhD; Santosh KC, PhD; Szilárd Vajda, PhD; and Zhiyun Xue, PhD. Branch chief George Thoma, PhD, and center director Clement McDonald, MD, provided needed support and leadership. Together, they created a low-power computer system that communicates with the X-ray imaging system to ingest and analyze a digital chest X-ray image, using advanced image processing and machine learning algorithms to detect TB. To ensure accuracy, the team needed sets of chest X-ray images—with and without TB for training and testing. Developing machine-learning algorithms, which allow computers to do a task without being programmed to do it, requires large sets of example X-rays. Antani and his team sought support from local, national, and international sources, from TB control programs and hospitals. Samples were acquired from near NIH in Montgomery County, Maryland, across the country from Indiana University in Bloomington, and from India and Japan. Even more came in from China when a team member was there on unrelated business. “It happened purely by chance,” explained Antani. These image sets helped the X-ray machine become more accurate. The end result was a twofer. “The resulting images could serve as both screening and diagnostic tools,” said Antani. The tests must be highly sensitive without much loss in specificity. “We worked to be sure the classifier favored sensitivity over specificity, while keeping the overall accuracy as high as possible. We’d rather have a false positive than miss anyone.” For screening tasks even radiologists are known to “over read,” that is favor sensitivity over specificity. Antani’s team strives to develop a tool that models this behavior. The X-ray generators travel by truck. The X-ray generator is well suited for travel. It’s rugged, inexpensive and lightweight—only 65 kilograms. A cassette reader converts the X-ray image into a digital image. All this happens on board. Patients in the mobile health care truck in Kenya. To bring the test to the people, Antani and his team worked on the best way to transport the test. “We needed a vehicle that would be the lowest cost possible to build, run and maintain and as good as any in the United States,” said Antani. AMPATH acquired the truck that was rigged and designed by their engineers and was certified for radiological safety. The first mobile health care truck with the X-ray generator began making the rounds in late 2014, but was formally deployed in early 2015. “We weren’t the only ones who thought this was great,” said Antani. “The first lady of Kenya, Margaret Kenyatta, visited the truck after it was inaugurated and pronounced it ‘the coolest thing’ she has ever seen.” Another truck is expected to hit the road this year. Antani visits Kenya once a year. “In the capital of Nairobi, they are tech savvy. Almost everyone has a cellphone which they use to make mobile payments for bills, like their electricity,” he said. Outside of the cities, roads are poorly maintained and there is limited access to technology and electricity. “In Kenya, I get user perspectives and then figure out how to make things work better,” he said. In an environment where the trucks may lose power 10 times per day, maintenance can be challenge and Antani is always looking out for ways to improve efficiency. Until that happens, the truck will remain on the road. 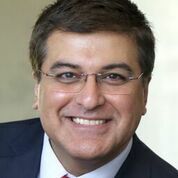 When FCW looked to recognize the 100 government, industry, and academic leaders in the federal IT community who had the greatest impact in 2015, it tapped Sameer Antani. The point that led Antani to be named one of the Federal 100 was his work on developing a system to automate the screening of digital chest X-rays for TB. In an April event that could have been IT’s answer to the Oscars--minus the television coverage and long speeches--Antani joined a group of government professionals, industry executives, and academic scholars who share a commitment to excellence and devotion to public service. Congratulations to Antani—and his team!